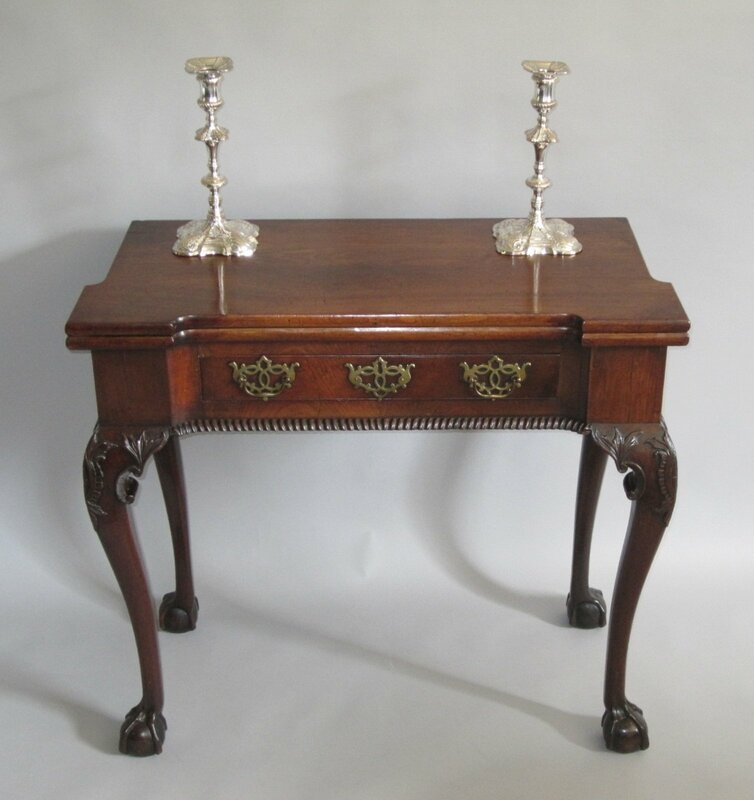 A MID 18TH CENTURY MAHOGANY GAMES TABLE. GEORGE II, CIRCA 1750. A fine example of an early Georgian gaming table. Of oblong form with pronounced square corners, the hinged top opening onto a single gate leg and revealing a playing surface with four dished candle stands, over a gadrooned edged frieze with a single shallow drawer, and raised on proud cabriole legs with finely carved foliate detail and carved "C" scrolls, flowing down to carved ball and claw feet. The whole of a lovely colour.